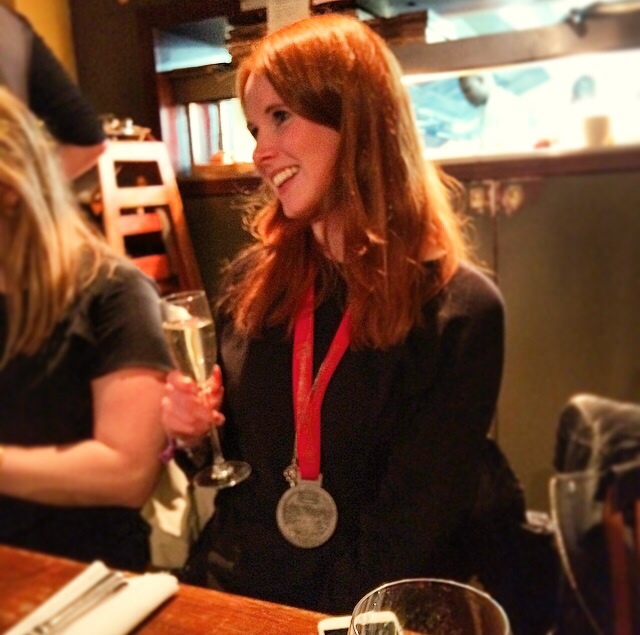 I’m Polly – a 25 year old professional who is passionate about two things in life – running and eating. Anyone who followed my blog in it’s previous guise of Running for August will know that I love running, and anyone who knows me personally is aware that I’m a greedy pig who likes to justify my gluttony by claiming I’m just “really interested” in food. However, because of my blog and instagram I often hear comments to the effect of “but I thought you were really healthy” when I eat something that is less than virtuous, and it is constantly hearing this sort of thing that has made me want to change the direction of my blog to make it a more honest reflection of my life, and hopefully a more realistic portrayal of what being “healthy” means to me. Due to the advent of social media and the popularisation of the wellness industry there are lots of commonly known diets, lifestyles and ways of eating. I do not follow any of them. I do not eat clean. I do eat gluten as I’m not a coeliac. I do eat dairy and saturated fat because I’m not lactose intolerant and saturated fat is delicious. That being said, I don’t live off McDonalds, cakes, sweets, pizza and chocolate, although I have been a committed chocaholic for 25 years now. I love food, and sometimes that means sweet potato, avocado, chicken, tenderstem brocolli and, of course, courgetti, but it also means blue cheese, red wine, rich food, truffley pasta and chocolate mousse. I think there is the belief now that you are either healthy and sporty, or not, and this is largely because of social media and I worry that some people may think that because they like pizza they can’t be a runner, or because they’re a runner they can’t enjoy a glass of red wine and a cheeseboard. So, in an attempt at being clear about who I am, I can say with total honesty that I am someone who loves running and feels driven to push myself harder and achieve more, I love my spiraliser and am partial to green juices and smoothies, but, I am also someone who eats chocolate every single day, has eaten butter with a fork before (it was made with bone marrow – you’d understand if you’d been there) and think my favourite food item may be bread. I need my body to do the things that I want it to do, and that means running, socialising, relaxing, getting through tough long working days and feeling confident in myself as I go about these things. My goals are to have a happy body that functions well doing the sport that I love, but I’m not a professional athlete, bikini model or anything that requires my body to be at its peak efficiency. My goals don’t require me to eat clean. So I don’t. I wanted my blog to be a reflection of the fact that I believe a happy and nourished body isn’t always the one that looks the best in a bikini. I absolutely do not advocate having an unhealthy life and body, but I don’t understand when enjoying food where the base ingredient for every meal isn’t a courgette became unhealthy. I believe in having courgetti for dinner, but having a glass of wine if you fancy it. I also think courgetti is just a plate of vegetables so it needs to be served with more nutritionally and calorie dense foods. I think calories are needed units of energy, not the ingredients for fat thighs. I believe that raw brownies can be very tasty, but they are not brownies, but equally I believe that blueberry and banana pancakes can be tastier than an unhealthy stack. I believe that you can eat healthily without eating chicken, sweet potato and brocolli for every meal. I believe in both track and truffle. From this blog you can expect recipes and reviews of my favourite food spots, details of my running training and favourite running routes, and all the other bits and bobs in between.